One rainy morning ,a parot called Holly couldn’t fly because of the rain . Luckily Harriet was there. She cort Holly and ran into a cave .”Thank you my good friend Harriet. You are a fast horse . ” Even though it had been raining all morning , eventually the rain stopped . They had been in the cave for a few hours when they realised that it was haunted. A light flickered deep down in the cave and they slowly peered around to find a ghost! The ghost flew past and said, “This cave is haunted so you had better be careful!”. They screamed! Great writing Alice. I really enjoyed the way you showed Harriet was a horse. Good use of speech too. 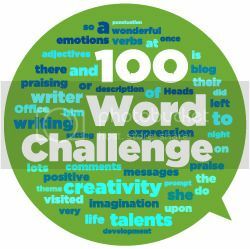 You create a plot in just 100 words very successfully. Keep that writing going! Next Next post: THE GREAT FLOUD!! !